Categories: Beautiful Bridal Wear, Delightful Decor, Effortless Entertaining, Food for your Wedding, Inspirational Ideas, Photography Perfection, Real Life Romances, Stress-Free Planning, The Legalities, and Wedding Planner. Tags: 2013 trends, band & DJ, blush & cerise pink, cake, castle weddin, Color, destination wedding, photography, pink wedding party attire, wedding dress, Wedding in Ireland, wedding photography, and wedding planner. Pink is definitely the colour of the love! No matter what shade, it is a romantic & a calming colour. Incorporate pink into your wedding theme, and it will create a mood of gentle warmth and thoughtfulness. 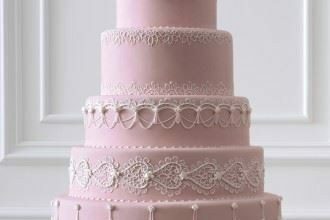 The pale/blush pink: It inspires sweetness & softness, this shade works very well for spring and summer wedding. The hot pink: More contemporary, fun & modern, it is a more energetic colour, which is perfect for any season. Categories: Beautiful Bridal Wear, Delightful Decor, and Inspirational Ideas. Tags: blush & cerise pink, cake, Color, invitation style, invites, pink cakes, pink decor, pink flowers, pink themed stationery, pink wedding, pink wedding party attire, wedding attire, wedding cake, and wedding theme.